Patna University M.Ed. 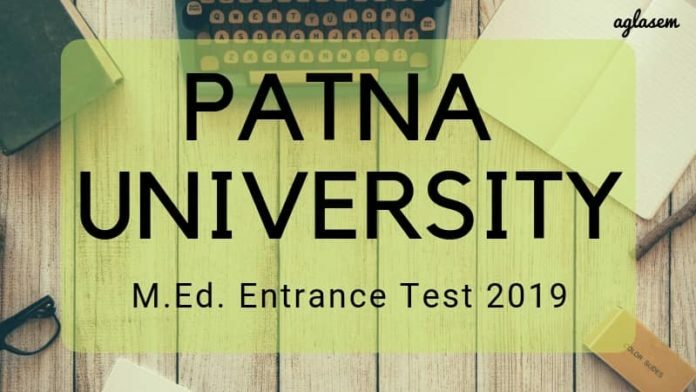 Entrance Test 2019 will be conducted by the Patna University. It is also known as by the name of Master Of Education (M.Ed.) Entrance Test (MEET). Interested candidates must fulfill the eligibility criteria as per laid by the conducting body. The application form will be available in the online mode on the official website, patnauniversity.ac.in. To appear for the Patna University M.Ed. Entrance Test 2019 it is compulsory for the candidates to fill the application form. Candidates who will fill the form successfully will be issued admit card. To know all the information related to Patna University M.Ed. Entrance Test 2019 Check the page below. Notice: Click here to admission Notice for Patna University M.Ed. Entrance Test 2019. It is mandatory for the candidates to fulfill the eligibility criteria and then fill the application form as that it does not get rejected/canceled. Aspirants must have obtained minimum 50% marks or an equivalent grade in B.Ed. B.A.Ed./B.Sc.Ed. B.El.Ed. D.El.Ed./D.Ed. The application form will be available in online mode on the official website, www.patnauniversity.ac.in. Candidates must fill in the necessary details in the application form. Aspirants should make sure that they enter their valid contact details as information related to the entrance test will be communicated on the registered communication details. Candidates must submit the application form along with the application fee to the Dept. of Education, Patna University either by speed post or in person before the due date. 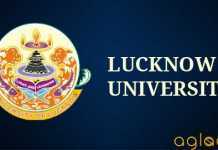 Application Fee: As per the last year’s details, candidates are required to pay Rs. 500/- as the application fee. In case of any changes after the release of latest information Brochure, details will be updated here. For the time being, aspirants can have an idea about the expected application fee for the M.Ed. Entrance Test 2019. Click here to check guidelines for scanning and upload of photograph. The admit card will be only available for the candidates who will submit the application form on time. It will be released in online mode. Candidates will be able to download the admit card by entering their login credentials. Candidates must retain their admit card with themselves as it contains important information related to the exam. No candidates will be allowed to appear for the test without the hall ticket so it is advised that candidates should carry the hard copy of the admit card on the day of examination. Candidates should check the exam pattern first and then start their preparation for the entrance test as it will be beneficial for the aspiring candidates as they will get to know about the structure of the exam. Negative Marking: There shall be negative marking. One mark will be deducted for 3 incorrect answers. For example- if the number of wrong answers is 20, so 6 marks will be deducted from the total marks obtained by the candidate. Type of Questions: The question in the entrance test will be based on the core paper of the f two-year B.Ed. programme of the Patna University. The entrance test will be pertaining the questions from the topics given below. 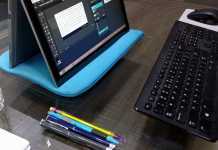 The result will be released on the official website, patnauniversity.ac.in. The direct link to check the result will also be provided on the “Result” page in the Quick Links section. The result will be declared in the PDF format. On the basis of marks secured by the candidates in the entrance examination, merit list shall be prepared. After the result declaration candidates will get to know whether they are eligible for the further admission process or not. Qualifying candidates will have to submit the relevant documents during the time of admission. Candidates must retain the copy of result as it will be required in the further process of the admission. Candidates will be selected on the basis of merit which means marks secured by the candidates in the entrance examination. Candidates will be able to take part in the further admission process if they will clear the entrance test. There will be negative marking in the entrance test so it is advised that candidates should answer the questions wisely. During the time of admission, it is compulsory for the candidates to carry original documents given below. Candidate can check the list of documents listed below which is to be carried at the time of admission. Passport size and 2 stamp size colored photographs. There shall be the total number of 50 seats sanctioned for the M.Ed course as per the last year records. In case of any changes in the number of seats then, it will be updated here. Person with Disability (PwD): 3% (1% will be reserved for the Visually Impaired candidates, 1% for Hearing Impaired and 1% for the orthopedically Handicapped candidates). Insofar, Official details for Patna University M.Ed. Entrance Test 2019 has not been announced yet. Information on this page is based on last year information brochure and for reference purpose only. As soon as Patna University will release Patna University M.Ed. Entrance Test 2019 information brochure, details will be updated here.